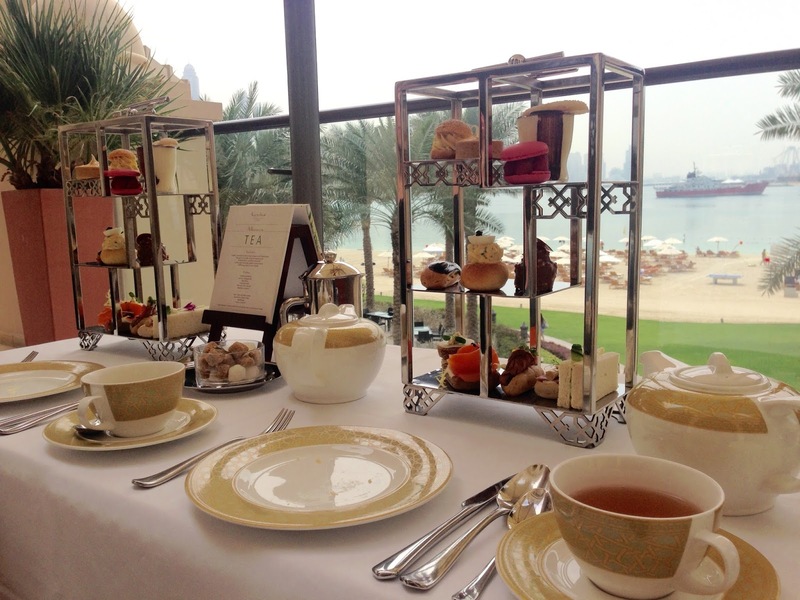 Afternoon tea is one of my favourite things to do when at a luxury hotel. 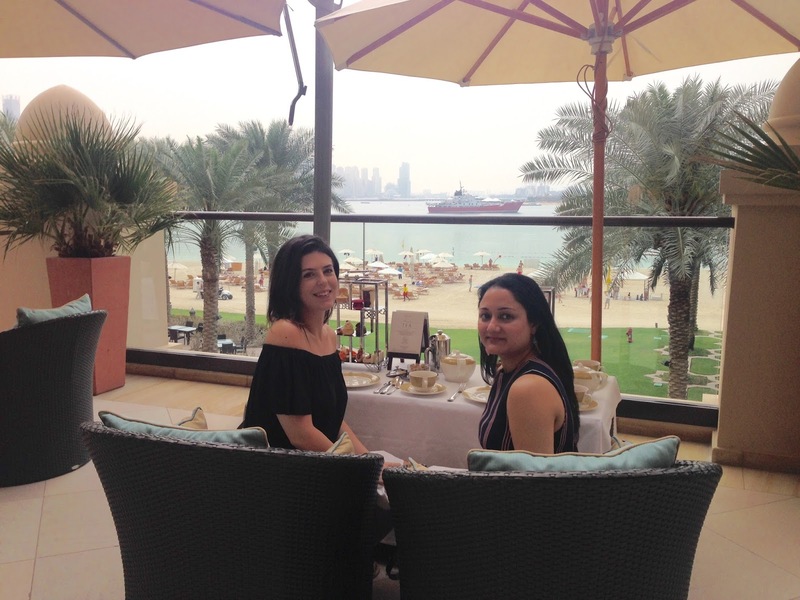 During my stay in Dubai, I went for afternoon tea with my friend Gemma at the Mashrabiya Lounge at Fairmont The Palm hotel. Situated on the iconic Palm Jumeriah, the Fairmont hotel is a 5 star luxury hotel resort. At the Mashrabiya Lounge we enjoyed alfresco seating on the terrace overlooking the Dubai Marina skyline. It was a beautiful setting on a perfect afternoon and after the food, we had access to the hotel's facilities including the steam room, sauna, pool and the beach. We were first shown a menu with a selection of different teas to choose from. I decided to try the Assam tea which was delicious. Afterwards, our afternoon tea was served, including finger sandwiches, hot pastry snacks, desserts and scones. There was lots to choose from and we couldn't finish all of it! However, I really enjoyed the quality of the food and the service was of a really high standard. I decided to dress smart/casual for afternoon tea, so I opted for my Zara dress with the stripes. You may have already seen this in my petite fashion tips blog post, but I love how this dress is fitted and tailored in all the right places. I paired this with my sandals for comfort. Thanks Kirstie :) Yes it was a really nice dress to wear in the hot weather, so I'm looking forward to wearing it in summer!